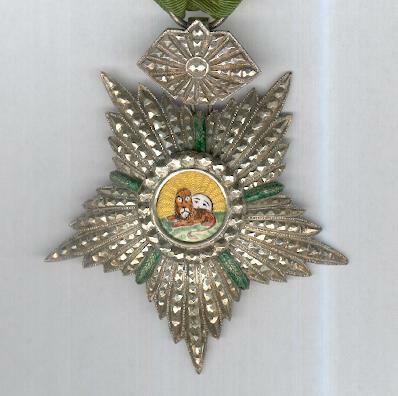 Five-pointed faceted rayed silver star, the rays in groups of seven, separated by feathered rays of green enamel, with hexagonal faceted silver suspension; the face with a circular central medallion bearing a polychrome recumbent lion, a radiant sun with a male face beyond, within a circle of faceted semi-spherical balls; the reverse plain; diameter 69mm (2.72 inches); some loss of green enamel from the rays between the arms; on original ribbon. 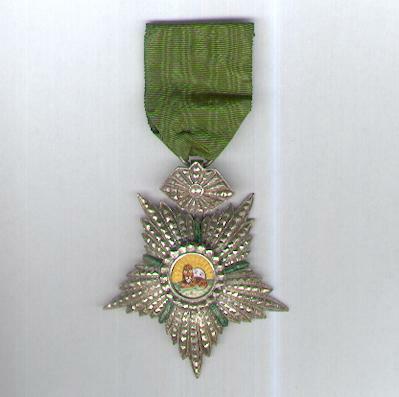 The Order was founded in 1808 by Fath ‘Ali Shah of the Qajar Dynasty as the Royal Order of the Sun. In 1820 it was reorganised and renamed. 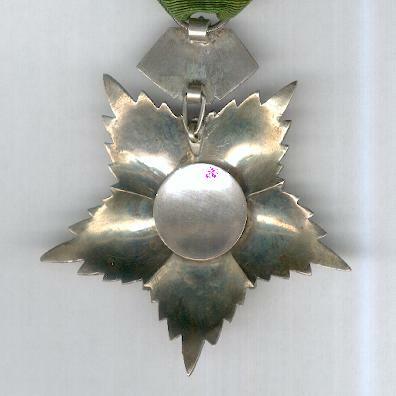 In 1925, the Qajar Dynasty was replaced by the Pahlavis but the Order continued as the Order of Homayoun with redesigned insignia. 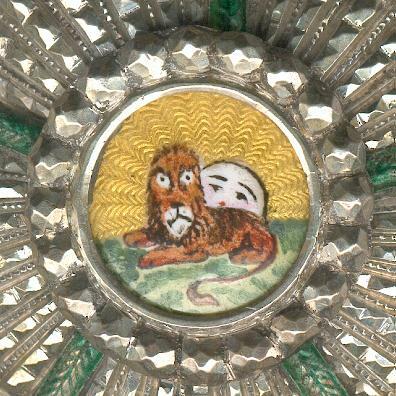 The Lion and Sun motif comes from antiquity and was used for centuries by Mogul and Qajar rulers, including Shah Jahan, builder of the Taj Mahal, being formally adopted by Persia (Iran) under Mohammad Shah (reigned 1834 to 1848). 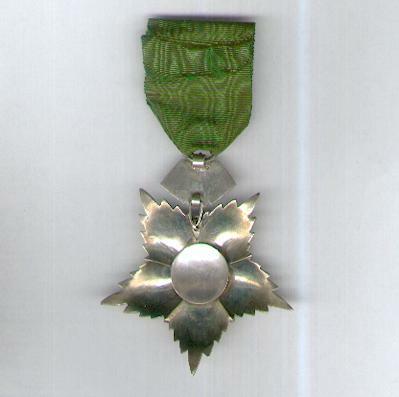 This example is of Civil Division (nishan-i-hormat) since the lion is recumbent (for military awards, the lion is standing and holding a sabre).